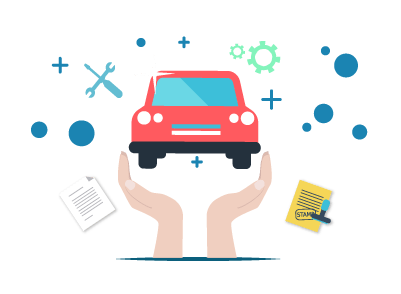 What is Garage Cash Cover In Car Insurance? What is Garage Cash Cover In Car Insurance? What is Garage Cash Cover In Car Insurance? It is necessary in this age, with the rising traffic, to insure your vehicle, financially safeguarding you and your vehicle from unforeseen liabilities as a result of mishap. It is vital that you avail sufficient coverage that protects you and your vehicle almost completely at the time of mishap. A car insurance can be comprehensive or liability only, based on the kind of coverage it offers. In case of a comprehensive car insurance cover, your third-party liabilities as well as own damage liabilities will be covered while in case of a third-party liability car insurance plan, only your third-party liabilities will be covered. What is Garage Cash Cover? Garage Cash Cover is one of the vital features in your car insurance policy. In case your car meets with an accident where it has gets damaged to such an extent that it is unfit to be driven around, you will have to get it fixed at the nearest garage. While the car is being repaired, you won’t have any other option but to commute via public transport. In such a situation the Garage cash cover will help you by providing you daily allowance for the purpose of commuting everyday till your car get repaired.